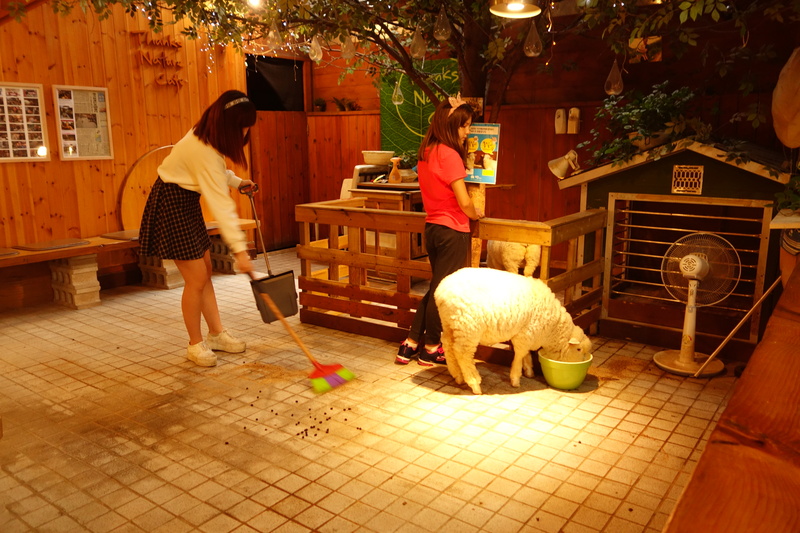 The Thanks Nature Cafe in Seoul, South Korea is the first cafe to invite its patrons to interact with the resident free-roaming sheep while enjoying various coffee drinks. 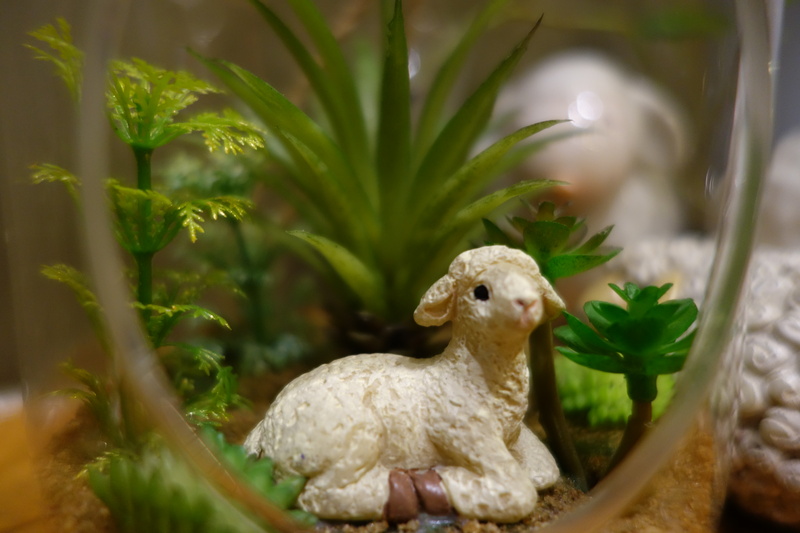 Similar to cat cafes and more recently owl cafes, Thanks Nature is a “sheep cafe” that has become very popular since 2015 is the year of the sheep. 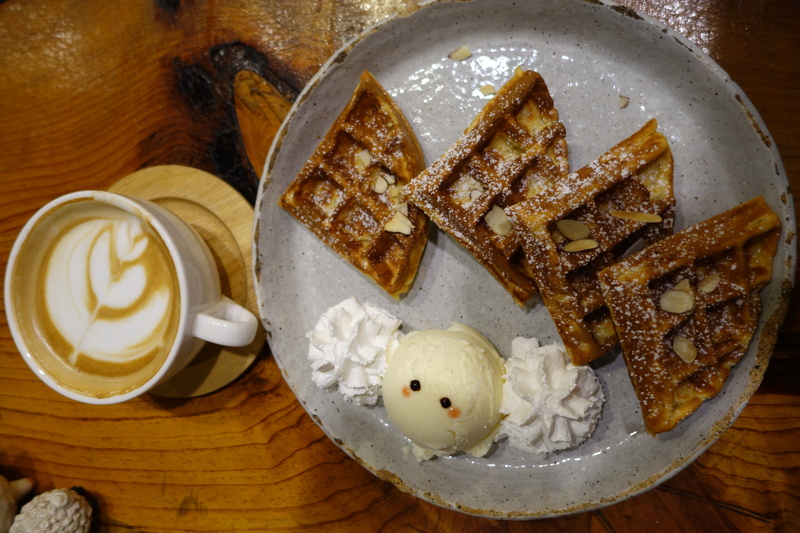 A unique cafe experience in Hongdae, Seoul. 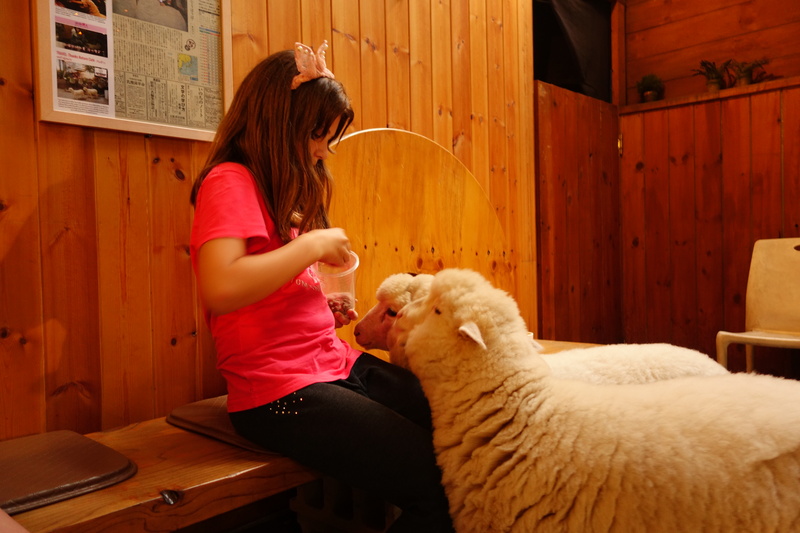 The cafe, Thanks Nature Cafe, has two happy and live sheep hanging out just outside the cafe. 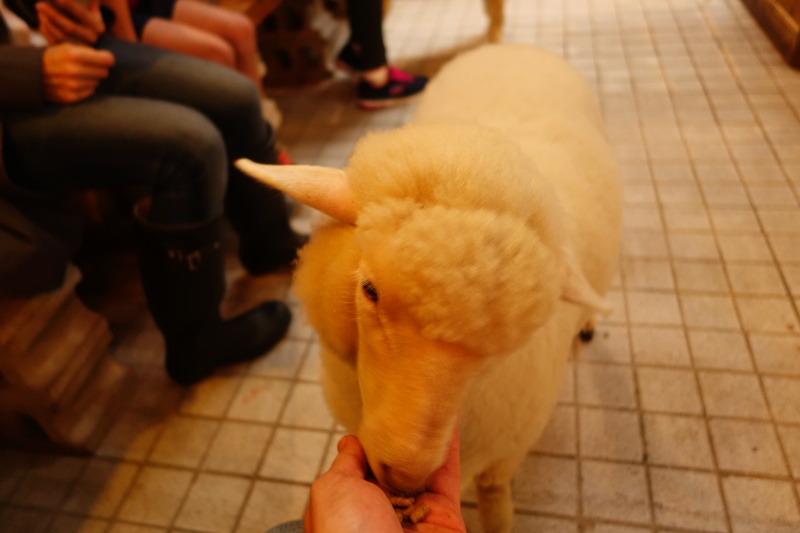 You can feed the sheep, have some coffee and snacks next to them, pet them, etc. Just to be clear: the cafe is completely separate from the sheep pen. 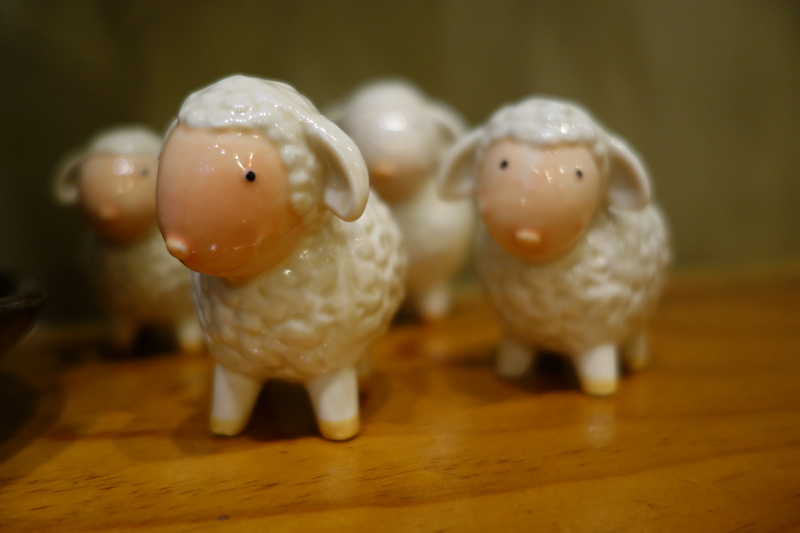 You can have a delicious waffle and your coffee/tea without ever interaction with the sheep. But, what’s the fun of that? After we enjoyed our afternoon snack, we headed to the pen. 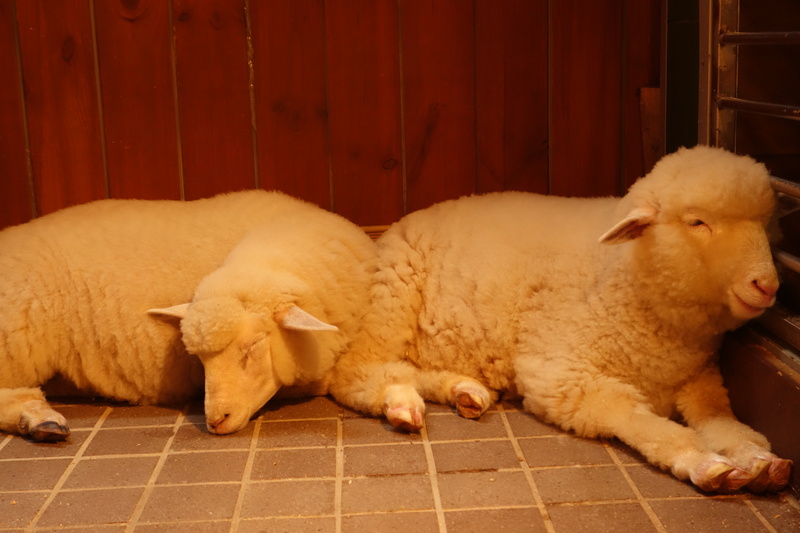 At first, Bocksil and Mongil (yes, that have cute names), were a bit tired and apathetic. I guess our constant name-calling woek them up and, most importantly, our discovery of how to feed them. Soon, both of them were busy being fed by Astrid. Unfortunately, the food disappeared way too fast. We didn’t want to stuff them too much and other patrons were getting interested in feeding them as well. And, as you can imagine, feeding has consequences. Thank God, the employees discovered and cleaned them up quickly. Overall, an interesting experience, worth a quick visit. Not sure if I would come back but you should give it a try. 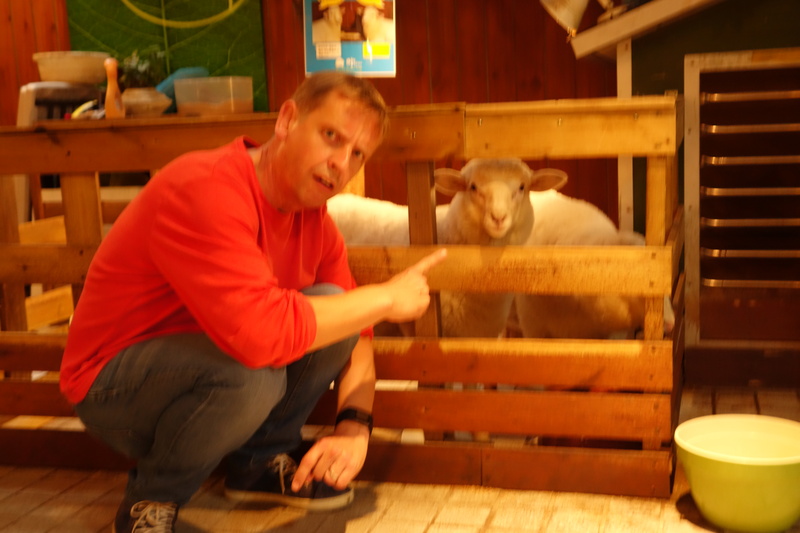 Not every day you can touch the soft wool of sheep. Seoul continues to amaze me with their quirky cafes and playful designs. More to come.